Last week I discussed General Gage’s early attempts to enforce the Coercive Acts and cow the colonists into submission following the Boston tea party. He quickly learned that the rebellious leaders were not ready to roll over and that the people were most certainly not ready to tolerate the new government. The free people of New England were heavily armed and not afraid to use their weapons against anyone they saw as threatening their liberties. Tens of thousands of armed colonists who were ready to confront the British regulars were no match for the force that Gage had under his command. He sent increasingly frantic letters to London indicating that he needed a much much larger army by spring if he was going to be able to regain control of the colony. In the meantime, Gage hunkered down in Boston and left the rest of the colony to run itself for the rest of the fall and winter. Gage’s decision to retreat into Boston and await reinforcements was not a strategy that many of his junior offices supported. Col. Alexander Leslie (soon to be Gen. Leslie) still believed that a military show of strength would force the locals to back down and submit. Gage did not think the colonists were particularly capable, but just in terms of large numbers, they could overwhelm the Regulars. Once Gage realized it was not just Boston in rebellion, but all of New England, he kept his defensive posture until he could get a bigger army. Most of the mob activity designed to intimidate judges, sheriffs, Council members, and other government officials came from mobs armed only with clubs or cutlasses. But Massachusetts had one of the most heavily armed citizenries that the world has ever seen. Almost every free man between the age of 16 and 60 had a firearm and ammunition at home. Colonial law required almost everyone to own and maintain them for use in militia duty. Decades of regular threats from the French or Indian tribes had caused the people to be prepared for attack at any time. In the last few years, Massachusetts had even purchased several more canon because, well you know, we might need them for Indians or something. One weakness though, was the fact that the colonies did not make their own gunpowder. All of that was imported from England. Colonies always kept plenty on hand in case of immediate danger, but then had to rely on imports for any extended need. They kept very little of the powder on hand in their homes. Powder was very dangerous, especially in homes with candles, fireplaces and other open flames. Storing large amounts of powder in the home was too great a danger. Instead, most of it was stored in powder houses. These were large stone buildings, usually in some isolated area so that in case they blew up, they would not take out a bunch of neighbors. Different local militia groups, and even some individuals might store extra powder in communal powder houses. 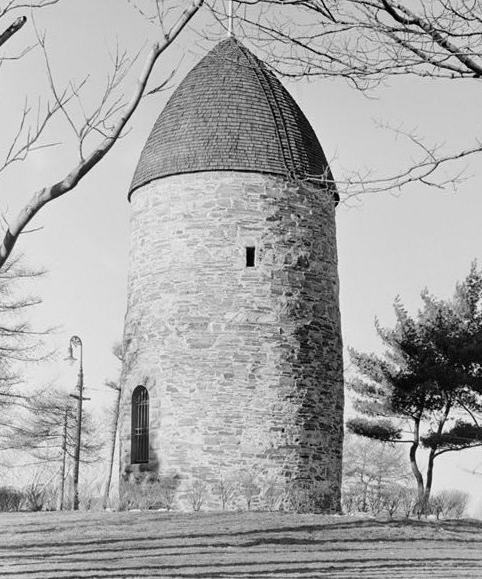 Boston stored much of its powder in a stone powderhouse a few miles north of town, up near the Mystic River at a place called Quarry Hill. Militia units from towns around the region stored their powder there. As tensions increased, many townships reclaimed their powder before the government decided to cut off their access to it. When Gage heard rumors that colonists were removing their powder, he sent a note to William Brattle, asking for information about the powder house stores. Gen. Brattle, at this time in his late 60’s, was generally a loyalist by ideology, but had tried to remain on the good side of the radical Whigs as well. He had started showing some fondness for Whig ideals as far back as 1765. Remember when Gov. Bernard made Hutchinson the head of the Massachusetts Court in 1765, causing James Otis to quit his job and become an advocate for smugglers because he thought his father should have gotten the appointment? Well Brattle was upset too, not for Otis, but because he thought he should have gotten the appointment. Brattle also started associating with radical Whigs, but never really joined their cause. 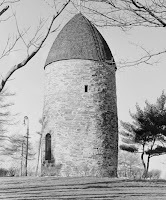 In 1774, he was a militia general and commander of the Middlesex militia and in charge of the Powder House. When Gage inquired about status, Brattle made the mistake of answering honestly. He reported to Gage that the Medford militia had removed their portion of powder from the powder house. With that, the only remaining powder was the King’s powder, that is belonging directly to the colonial government. He further implied that the remaining powder might be at risk of seizure. His second mistake was to send this as a letter, which somehow never made it to Gage, but got printed in a patriot newspaper. Colonists saw Brattle as a collaborator. Gage did get the information though, and acted on the information quickly and decisively. He had concerns about marching his regulars miles into the countryside for fear the militia would assemble and confront them. Gage did not fear an armed battle, but wanted it on his terms and timetable. On August 31, Gage sent the local sheriff to collect the powder house key from Brattle. Since Brattle did not want to be a part of the dispute, he cheerfully turned over the key. Before dawn on September 1, Gen. Gage deployed about 260 regulars from the 4th Regiment under the command of Lt. Col. George Maddison. The Regulars crossed the Charles River and rowed up the Mystic River to within a mile of the powder house, arriving there before sunrise. The soldiers took the remainder of the gunpowder, over 200 barrels, put them on boats and brought them back to Boston. On the return, a contingent of soldiers marched back through Cambridge. 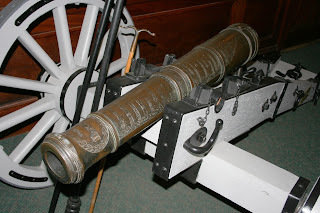 There, they took two militia cannon back to Boston as well. 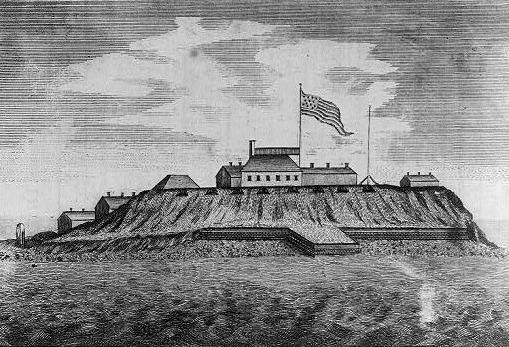 Once in Boston, Gage ordered the artillery and powder to a more secure location on Castle Island in Boston Harbor. By late morning the mission was complete. Gage had secured his powder and returned his soldiers to Boston before the colonists could react. Before raid began, by the evening of August 31, patriot leader Joseph Warren was aware that the regulars were up to something. He observed the regulars assembling in Boston for an unusual night mission. However, he did not have a system in place to warn the surrounding countryside. It was not until the next morning, when the regulars were already on their way back to Boston, that word spread throughout the region that the soldiers had conducted a raid of some sort. Rumors spread through the countryside that British soldiers had raided local militia and killed six men in a showdown. 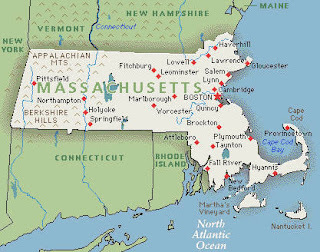 Thousands of men from all over Massachusetts, Connecticut, and elsewhere in New England, began to descend on Boston with muskets in hand, ready to do battle. 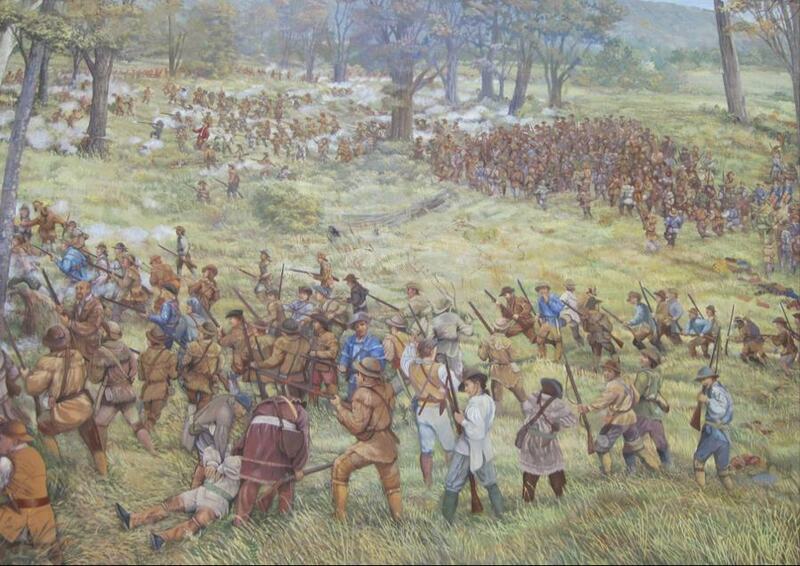 Although some estimates say as many as 30,000 armed men started out for Boston, most turned back when they learned the rumors of colonists being shot were not true. 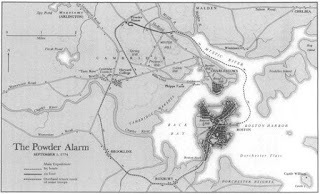 By Friday morning, September 2, about 4000 men had congregated around Cambridge, just across the river from Boston. A mob visited the home of Gen. Brattle. Wisely, Brattle had already decided to flee to Castle William for protection. Next, the mob moved on his neighbor, Attorney General Jonathan Sewall, who also had left home. The mob threw rocks through a few windows, but could not find a good target for their wrath. Several key leaders, including Samuel and John Adams, were away at the First Continental Congress in Philadelphia. The remaining patriot leaders in Boston did not want to see this immediate crisis turn into an armed battle. Neither did Gage, whose regiments of British regulars were already outnumbered by the armed militiamen gathering nearby. Newly appointed Lt. Gov. Thomas Oliver, no relation to the former Lt. Gov. 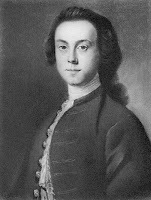 Andrew Oliver who died in 1773, lived in Cambridge. He observed the groups of men passing his home heading toward Boston. Many of them were men he knew from neighboring towns. He went with them to Cambridge Common, where everyone seemed to be congregating. At one point a rumor spread that Gage was sending soldiers to disperse them. Oliver agreed to go into Boston, and see if he could resolve all this without bloodshed. On his way into Boston, he met with Joseph Warren, William Mollineux, and several other leaders headed from Boston to Cambridge to speak with the growing mass of angry colonists. The men met with the colonists and dispelled the rumor that anyone had been shot. They assured them that the powder removed had belonged to the King’s forces and not to any local militia. In short, they made every attempt to calm the situation. Two of the men sent to pacify the colonists sat on the Governor’s Council, as did Lt. Gov. Oliver. The crowd demanded that they publicly resign on the spot since the Council was unconstitutional. Two of the Council members had already tendered their resignations to Gage and readily announced that to the crowd. The situation seemed like it was coming to a peaceful end, when Customs Commissioner Benjamin Hallowell decided to ride past the crowd in his carriage. The crowd quickly turned on the hated commissioner who fled toward Boston. More than 100 men mounted their horses and chased him. Hallowell had a good lead on them, but his carriage broke down as he sped along the road. He jumped on his servant’s horse and continued at a full gallop. The horse then faltered and fell a few hundred yards from the Boston Neck defenses. 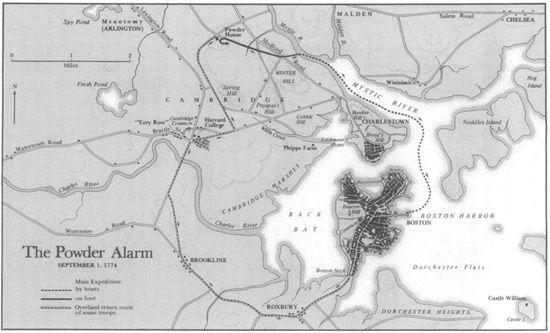 Hallowell then took off on foot running the final distance to the safety of the British guards at Boston Neck. During the confusion Oliver slipped back to his house in Cambridge. A group soon came to his door still demanding his resignation from the Council, but not as Lt. Governor. After some debate, Oliver reluctantly signed his resignation, noting coercion by the crowd of 4000 men surrounding his house. Later that day, Oliver would slip into Boston since Cambridge was no longer a safe place to live. Meanwhile Gage continued to monitor the situation from Boston, sending out soldiers dressed as civilians to spy on the militia. The militia began to return home by the end of the day. Gage, however, increased his defenses, building a better defensive gate at Boston Neck, adding several artillery pieces there, and getting Admiral Graves to move several navy ships into the rivers to prevent any river crossing of angry patriots. Boston was the only place in Massachusetts where Gage could assert any government authority, and the only safe place for anyone who cared to express Tory opinions. Even there, some Tories were not safe. A few days after the raid, local newspapers published accounts of Brattle’s involvement in informing Gage about the powder. Although Brattle argued he had simply done his duty to keep the Governor informed about the state of the powerhouse, Patriots deemed him an informant worthy of punishment. Brattle would spend the remainder of his time in the colony, living out on Castle Island in the harbor under military protection. He could not even return to Boston. When the British evacuated Boston in 1776, Brattle went with them to Canada, where he died of natural causes later that year. Patriot leaders realized that it has taken them more than 24 hours to muster a response to the raid on the powder house. They needed a better warning system. On September 21, they met in Worcester to discuss the problem. The solution was to organize a group of the most patriotic militiamen, to agree to turn out at a minute’s notice if there was any future alarm. These so-called minutemen could produce an army of thousands from among the population for almost immediate use to confront any future raids. Since all the regulars were in Boston, patriots needed men in Boston willing to ride out and warn the population of any imminent raids. Joseph Warren was in charge of intelligence, but someone else needed to handle the communications network. That job went to a local Boston patriot named Paul Revere. 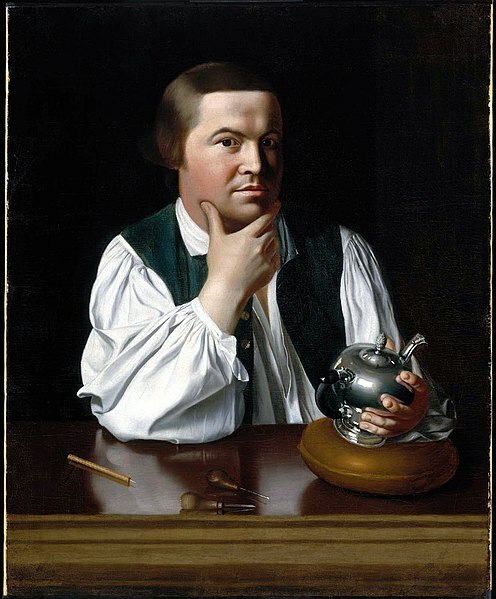 Now, Revere was not an elected official, nor a big speaker or writer, but involved himself in all of the major events leading up to this point. He produced a famous illustration of the Boston Massacre and appears to have been one of the gang leaders at the Boston Tea Party. He had also served as a reliable messenger to bring news of major events to New York, Philadelphia, and other towns and cities. Revere was a silversmith by trade, born and raised in Boston. Besides the Sons of Liberty, Revere was part of many other associations around town, including one of the local Masonic lodges. Revere worked closely with Joseph Warren to create a network of about thirty workers around town to gather and disseminate intelligence. Warren would rely on Revere to serve as a primary messenger if the British tried anything. Paul Revere rose to fame decades after the war, often attributed to Henry Wadsworth Longfellow’s famous 1861 poem about his ride before the battles of Lexington and Concord. By the early twentieth century, historians downplayed his importance, arguing that he was merely one of many riders and did not even complete his famous ride. I think Revere’s reputation came most under attack in the 1920’s when Vice President Charles Dawes, tried to play up the importance of his ancestor William Dawes, who was one of the other riders sent out just before Lexington and Concord. As William Dawes’ importance in that event was raised by historians, Revere’s necessarily fell. Personally, I think this revisionism went too far in the other direction. Sure, there are many riders who played important roles that may not be as well known. But Revere was an important player in many of the early events, and was more than merely a messenger boy. He was a key player in the early strategic efforts and coordination of the patriot cause. Revere would spend much of the winter planning and organizing communications networks across the colony. He knew the key militia leaders in every town and where they lived. He knew who needed to be contacted to spread any alarm as quickly and efficiently as possible. He would make numerous visits out to Concord and other key patriot strongholds. He worked with all the top patriot leaders including Hancock, Adams, and Warren. Revere’s organization and planning was critical to the movement. In short, Revere did more than ride. He helped build the network necessary to implement an early warning system for future raids. The next time Gage attempted to move his soldiers out of Boston, the patriots would have this early warning network in place. They would be ready to confront the regulars before they could reach their objective. The patriots also used the Powder Alarm, as it became known, to secure any remaining arms. Guns, equipment, powder, and ammunition in other colonial powder houses were emptied, their contents hidden from any future British search and seizure missions. Across the river from Boston, Charleston had a battery of large cannon and shell in place to prevent any naval assaults. Gage received reports of activity in the battery, and on September 7 sent a night time party of soldiers to investigate and secure the weapons. Upon arrival they found all of the cannon and ammunition gone. Only in Boston, could Gage order that the local ordinance be secured. Many private citizens as well as local militia kept powder stored in powder houses in order to reduce the risk of explosion by keeping it at home. Gage refused everyone in Boston access to their powder. Boston also had four brass field cannon, two two pounders and two three pounders (referring to the weight of the cannon balls they could fire. The guns themselves were several hundred pounds each). One night, the two pounders simply disappeared. Gage put sentries to guard the three pounders, which were stored in an armory right next to the British camp. When an officer brought in a party to move the cannon, he discovered that they too had disappeared, despite the guards. The hunt for guns and ammunition continued throughout the fall. 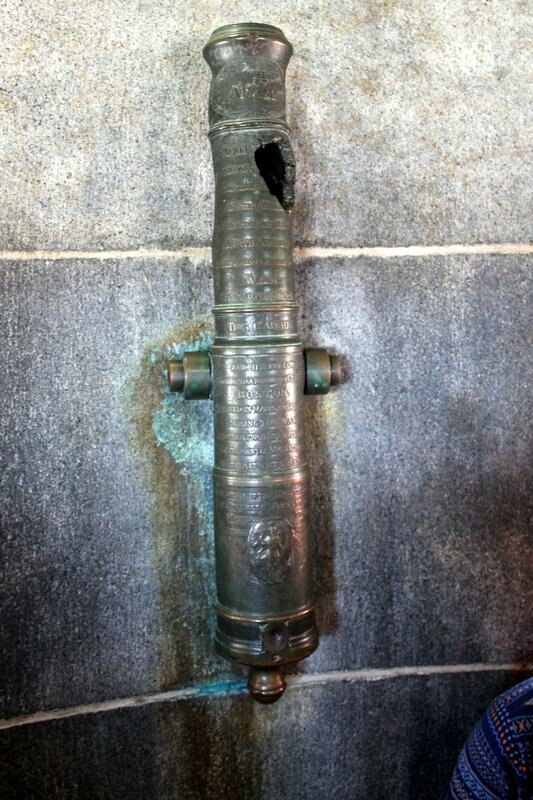 Several private citizens in Boston owned cannons, although most of them were keeping it secret at this time, so no one knows exactly how many. They continued to try to smuggle them out of occupied Boston to safe patriot strongholds in the country. One morning, British soldiers found several cannons stuck on a mudflat in the water north of town. Evidently the rowboat got stuck as smugglers tried to move them overnight. John Hancock later received reimbursement from Congress for four cannon that he donated to the cause around this time. William Mollineux died suddenly from an illness in October. Among his effects, authorities found two swivel guns and four mortars. The Navy stopped another shipment of 12 cannon from London to Thomas Cushing. There were also lots of smaller items. When soldiers searched a Bostonian’s wagon leaving Boston, they found 19,000 rounds of ammunition. They confiscated it. The man then angrily demanded the return of his property. The officer asked him why he needed 19,000 rounds of ammunition, he just said it was for personal use. He did not get them back. British officers also found several merchants in town with heavy artillery, light weaponry and thousands more rounds of ammunition, which they took possession, paying for them of course. On at least one occasion a mob of patriots attempted to stop a merchant from delivering his weaponry to the army. Merchants selling arms to the British were deemed collaborators. They received death threats and saw their shops trashed. Even in occupied Boston, enough patriots remained to influence behavior. Both sides were now in all out competition to arm themselves. Neither would admit why yet, but everyone knew a showdown as coming. Next Week: The people of Suffolk County resolve to run the colony without the Governor. Bolton, Charles (ed) Letters of Hugh, Earl Percy, from Boston and New York, 1774-1776, Boston: Charles E. Goodspeed, 1902. Dana, Elizabeth Ellery (ed) John Barker diary - The British in Boston, 1774-1776, Cambridge: Harvard Univ. Press, 1924 (Barker was a British officer stationed in Boston). French, Allen The Siege of Boston, New York: Macmillan, 1911. Frothingham, Richard History of the Siege of Boston, Boston: C.C. Little and J. Brown, 1851. Frothingham, Richard Life and times of Joseph Warren, Boston: Little, Brown & Co. 1865. Miller, John Origins of the American Revolution, Stanford, Stanford University Press 1943 (Based on date, I am not sure about the copyright status of this book. Since it may get pulled, I have also included a link to Amazon below). Smith, Whitney (ed) Concord town records: manuscript transcripts, 1774-1776, Boston, 1774. Beck, Derek, Igniting the American Revolution 1773-1775, Naperville, Ill: Sourcebooks, 2015. Bunker, Nick An Empire on the Edge, New York: Alfred A. Knopf, 2014. Daughan, George C. Lexington and Concord: The Battle Heard Round the World, New York : W.W. Norton & Co., 2018. Miller, John Origins of the American Revolution, Stanford, Stanford University Press (1943) (also available as a free eBook, see above). Philbrick, Nathaniel Bunker Hill: A City, A Siege, A Revolution, New York: Viking, 2013. Raphael, Ray & Marie The Spirit of ‘74: How the American Revolution Began, New York: The New Press, 2015. Two weeks ago, we saw Gen. Gage become Gov. Gage with the task of compelling Massachusetts to comply with Parliamentary authority. After a brief detour to Virginia for an Indian war last week, I am returning to Massachusetts to take a look at how Gage attempts to enforce the new laws from London. Following his instruction from Secretary Dartmouth, Gage used the Navy to close Boston Harbor, then moved the government to Salem. One of the main purposes of the Boston Port Act was to close Boston and make the people there suffer. Not only would there be no trade, removal of government to another part of the colony would complement that. Boston was going to become a derelict shell of a town. No one would want to remain there. London officials believed that the hotheads were in Boston. The rest of the colony was still loyal to the King. Destroying Boston economically would take care of the resistance and set an example for others. The Governor had been forcing the Assembly to meet in Cambridge, just across the river from Boston. This had been a sore point for years. Days after his arrival in the colony, Gage had ordered the Assembly in Cambridge to adjourn and to begin a new session on June 7 in Salem. Instead of just crossing over the river, Bostonians would have a twenty mile journey to get to legislative sessions, half a day’s ride for most. Gov. Gage took up residence in the village of Danvers, just outside of Salem. Living in the Massachusetts countryside, would allow Gage to live in a more relaxed atmosphere, without the hassles and violence in Boston. Or so he thought. Gage would soon discover that was not the case. On June 7, 1774, a week after the port had closed, the Assembly convened in Salem. Its first order of business was to complain about having to convene in Salem. It protested the new Governor’s decision to move them from Boston. It spent the first two days putting together an argument about why moving the legislature away from Boston was a source of discontent. Gage shrugged it off: Yeah, too bad. You are meeting in Salem now, and that is the way it is. Gage thought that getting standing firm on such issues would prove his leadership and convince the colonists to obey. suffering from the Port closure. Next, the Assembly proposed the new Council. As they had done traditionally, the Assembly proposed a wide array of Councillors, some conservatives, some moderates, some liberals and some radicals - representing a wide range of viewpoints and positions. Gage vetoed more than half of them. Although he had that right under the old Charter, Governors usually only rejected a handful at most. Gage was making clear that he was not the usual pushover, only angering the legislature even more. On June 6, The Boston Gazette printed details of the Government and Justice Acts debates in Parliament. Since the Government Act would soon give Gage full control over the Council appointments, he had no incentive to compromise on this point either. The Assembly formed a special committee to discuss how to respond to the Port Act. Samuel Adams headed a Committee to plan their next steps. Nineteen of the twenty committee members were committed patriots. The one Loyalist, Thomas Leonard, was a problem. If the Committee started discussing resistance or other radical measures, Leonard would report to the Governor who would dissolve the Assembly. So for several days, the committee met to discuss possible options of repaying the cost of the tea, or other more moderate measures. For Gage and Tories in the colonies, it sounded as if the radicals had finally understood their predicament and were willing to make peace with London. It was, however, just a show. After the committee ended business each day, Leonard would go home and the other nineteen committee members would get down to business. They set up plans to call for a Continental Congress and choose a delegation to attend. Of course, the full Committee would have to vote on the measure before it could go to the Assembly. Unlike discussions, the Committee would have to remain in session. Leonard would discover what was going on and report it to the Governor. On the day of the vote, Robert Treat Paine offered to ride with Leonard to his home district to observe some court proceedings. Leonard assumed that the committee’s moderate debate would continue, and agreed to go. 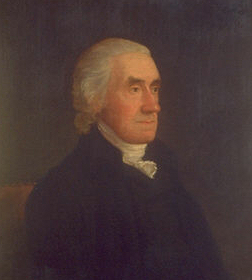 During his absence, the Committee voted to submit the proposal for a Continental Congress to the full Assembly. The Proposed Congress would meet on September 1 in Philadelphia. Massachusetts would send five radicals as delegates: Samuel and John Adams, James Bowdoin, Thomas Cushing, and Robert Treat Paine (although Bowdoin would not make the trip, due to a need to care for his sick wife). The next problem was getting the proposal through a vote of the full assembly. Unlike the committee who had just one Tory, the Assembly had many. The radicals could not sneak this past all of them. When he brought the proposal to the full Assembly on June 17, Adams ordered all the doors locked, with no one allowed in or out. Despite this, one conservative member feigning illness, was allowed to leave. He promptly ran to the Governor to tell him what was happening. Gage ordered his secretary, Thomas Flucker to run over to the Assembly and deliver his order that it be dissolved immediately. Of course, the doors were locked and no one would let him in. Flucker shouted his proclamation through the doors while the Assembly voted on the issue. The assembly also appropriated £500 for the expenses of those travelling to the Continental Congress. Since the Governor likely would not approve the appropriation, it called on towns to come up with the money. It also passed measures recommending that the people of Massachusetts renounce all consumption of tea, encourage domestic manufacture, and end the use of all imported items. It also criticized the new Governor for failing to call for a day of fasting a prayer, and called on local ministers to set a convenient day for that purpose. Once passed, the Assembly closed its business and obeyed the order to dissolve after only ten days. So the State legislature was not going to accommodate Gage’s new policy of firmness against opposition, but surely the small towns and villages around Massachusetts were not going to kick up a fuss, right? Over the summer, town meetings all over the colony raised protests, first over the Port Act and then over the other Coercive Acts, as they became known. A few took moderate or pro-government positions, but most expressed outrage and called for boycotts against Britain. Gage could look forward to those pesky meetings going away on August 1, when the Government Act’s ban on town meetings went into effect. Except, no one seemed to pay attention to that. Towns continued to hold meetings in violation of the law. Salem, the new seat of government, announced that it would hold a town meeting on August 20 to select representatives to send to an upcoming county meeting. Gage immediately issued a notice that the meeting was illegal and was not to take place. To underscore his position, he brought in two companies of British Regulars, armed and ready to move on the Meetinghouse. Next, Gage summoned the leaders of the Meeting and ordered them to disperse the people. If they did not, he would call on the sheriff to do so. If the sheriff would not or could not, he would use the soldiers. The leaders tried to argue legal points with Gage, but he cut them off. Gage soon ordered the soldiers to advance on the meetinghouse and break up the meeting. The soldiers obeyed, but in the time it took Gage to finish his arguments with the local leaders, the people had quickly done their business and left before the soldiers arrived. Nothing like the threat of advancing soldiers to speed up proceedings. Furious, Gage ordered the leaders of the Salem town meeting arrested for sedition. A local judge arrested several leaders, but quickly decided to release them without bail after learning that more than 1000 armed militiamen were advancing on his jail to free the men by force. Gage, seemed truly shocked by this act of defiance, decided not to continue with the prosecution. He was beginning to understand that the colonists were willing to call his bluff if he wanted to force the issue. This really was an important turning point for Gage. A few months earlier, he had told the King he could control New England with four regiments. Now he understood just how far the colonists would go, and how widespread the opposition was. Gage had to make a decision. If he continued to press his hard line, he would have to use his soldiers to suppress the militia. Gage had only a few thousand regulars in Massachusetts. If the people rose up by the tens of thousands, and almost all of them well armed and apparently ready to fire on the Regulars, there was no guarantee that his forces would win the battle. The tough talking Gage now realized he would need a great many more soldiers if he was going to enforce London’s policies. All of the colonists, not just a few radical leaders, seemed ready to bear arms and fire on the King’s soldiers if necessary. Gage was not ready for political compromise yet, but he knew he would need a bigger army before he could fight this fight. As a result, Gage began to back away from confrontations for the moment. The colonists, however, were not ready to back down. The judge who had issued the arrest warrants in Salem soon discovered that no one in the colony would do business with him. He quickly found he had trouble buying food to feed his family. Government officials were now seen as collaborators. Realizing that his position in the countryside still left him surrounded by hostile locals, Gage decided to move back to the Governor’s mansion in Boston. There at least, he could have his regiments of soldiers close at hand. He wisely began work building up defenses on Boston Neck so that his soldiers would defend against a possible armed invasion. There was no telling how far these crazy colonists would go. With Gage trapped in a defensive posture in Boston, colonists moved to shut down all government activities in the colony. Before the recent changes, the Governor had appointed judges, sheriffs, and other court officials, with the consent of the Council. With the changes in the Government Act, the Governor could appoint and remove officials at his own pleasure. Even if the Council had been involved, now that it was not elected, the people of the colony had no say in who ran the courts. Juries previously had been selected from lists drawn up by locally elected selectmen. Now, the governor-appointed sheriffs drew up jury lists, again meaning this power moved from elected officials to crown appointed officials. These changes meant that the colonists believed all colonial courts to have lost authority over them. Courts now controlled by the Coercive Acts had become illegitimate tools of the tyrannical measures against them. Therefore even judges who did nothing objectionable were now seen as the enemy. They were collaborating with the new government and implicitly accepting the validity of the Coercive Acts. Any judge who took office, or even continued in office with an appointment from the Governor, were validating the Coercive Acts by his mere presence. Many colonists simply refused to serve on juries. Sheriffs could not enforce court orders. Many were compelled to resign or face consequences. In western Massachusetts especially, farmers never really liked the courts much. Their main purpose was to arrest poor farmers who fell behind in repaying their debts. In prior years, it was not unheard of for farmers to bring out their guns and prevent a sheriff from removing a neighbor from his land. Parliament’s decision to pay judges, thus removing local pressure had not set well. The decision to appoint judges, serving at the pleasure of the Governor, put the people over the edge. Colonists in the western county of Berkshire got together and proclaimed that they no longer recognized the authority of the courts, and decided they would just get along without them. When judges came to the courthouse to start the new session, they found the building packed with about 1500 locals. The small building was so packed that no one else could enter. The sheriff tried to demand they make way for the judges. The protesters responded by saying they did not recognize the court’s authority and refused to budge. The judges knew enough about local intimidation to back down before things got ugly. They simply gave up and left. One justice of the peace had not shown up at the courthouse. To make sure he got the message, a mob broke into his house in search of him. He had already fled, but was captured about 35 miles away by a mob of about 200 men. They forced him to sign the Berkshire Covenant, denying the authority of the courts in their county. He eventually signed, was released, and fled to Boston, fast becoming the only safe refuge for anyone in Massachusetts who openly supported the royal government. Similarly, in Springfield, three to four thousand gathered to force the judges and other government officials from Hampshire County to disavow their appointments from the Governor under the new laws. Some proved initially resistant, though the threat of tar and feathers eventually forced the most reluctant to disavow. As in Berkshire, the courts, and other government offices closed and remained so until further notice. By this time, Gage had realized the enormity of the problem. The issue was not a few radical leaders in Boston whipping up the people. Pretty much the entire population of Massachusetts sided with the radicals. They opposed the changes brought about by the Coercive Acts, and were willing to do whatever they needed to put a stop to them. Further, the colonists were very well armed and seemed willing to turn out with weapons in hand when necessary. So Gage, now in Boston, refused to provide any assistance to the Courts that were closed. 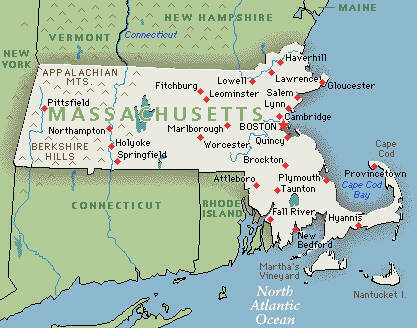 Royal authority in Massachusetts now covered only Boston, and only there because the soldiers could enforce it. The rest of the colony had effectively freed itself from all government controls. Gage could not even appoint members to his new Council. By mid-August, his 36 man Council had only 24 members. Others either rejected their commission or simply refused to show up. All the Council members were from prominent and respected families. Many had been militia officers in their home districts. Most had held other highly respectable positions. Some had even been elected to Council under the old laws. But no amount of past respect and support would help them now. As Council members left Boston and returned home, they found themselves subject to various forms of persuasion to resign. In some cases, simple acts of shunning were enough. One Council member attended church, only to see the entire congregation walk out when he arrived. Another, who ran a store, found that his customers immediately dropped to zero. Others took more persuasion. Several had mobs come to their homes at night, demanding that they resign their positions or face the consequences. Some fled to other parts of the colony, only to find that they were not safe there either. Many took the hint and resigned their positions on the Council. By the end of August, only 14 Councilors remained, all of them taking refuge in or near Boston along with the Governor and the Regular Army. Many people, including John Adams, talk about the revolution having begun before the first shots were fired. These events are examples of what they’re talking about. British authorities were quite frankly shocked that the whole people could rise up, not rallying around a particular leader, but around the idea of freedom. Throughout the Empire and in England too for that matter, most people were peasants who did not have the luxury to care about anything other than where their next meal is coming from. Most were bound to a Lord who controlled the land that they worked. If the Lord decided to rebel, the people rebelled with him. If the Lord was loyal to the crown the people remain loyal. They certainly would not, on their own, stand up against a regular army ready to fire on them. America, especially New England, was very different. Land ownership was widespread. Most men owned their own farms, or could look forward to doing so someday. They had taken part in town meetings all their lives and were used to the idea of governing by a consensus of the population, not orders from up above. They had grown up on the idea that they had to defend their basic rights or liberties and that they needed to be well armed in order to make sure that those liberties were not taken from them. Passage of the Coercive Acts had led to a consensus among vast majority of New England colonists that taking up arms was necessary. General Gage and officials in London had no idea how to contend with such force. They could not arrest and hang a few leaders. They were not ready to commit genocidal rampage and murder the entire colony. They had no experience trying to negotiate with a large group of commoners. Over the next couple of years they would certainly do their best to try to suppress the rebellion militarily. But they simply did not have the experience and tools to overcome a well armed motivated population of commoners dedicated to protecting their liberties. Next Week: Gage’s attempt to secure munitions in the colony alarms the countryside and almost starts a war. The last few weeks have been all about Boston and New England, and so will the next few weeks as well. Today though, I want to step away from Boston and spend some time on another incident further south that flared up around the same time. While agents, mostly from Pennsylvania, were trying to set up the colony of Vandalia that I discussed back in Episode 37, Virginians hoped to make their own advances into the same region. 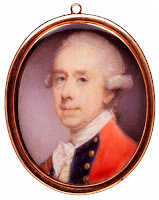 These attempts led to what became known as Lord Dunmore’s War in 1774. 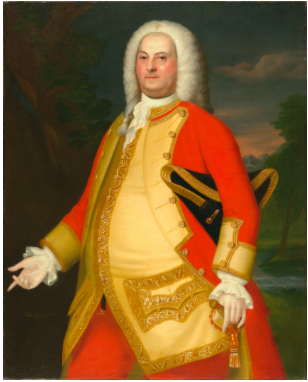 I mentioned Lord Dunmore back in Episode 38 when he served briefly as Governor of New York and tried to get rich selling land already owned by the New Hampshire farmers who became the Green Mountain Boys. I promised then that I’d give a little more background on Lord Dunmore at some point, and today that point has arrived. John Murray, the 4th earl of Dunmore came from a prominent Scottish family. His father made the mistake of supporting the Jacobite Rising of 1745-46. 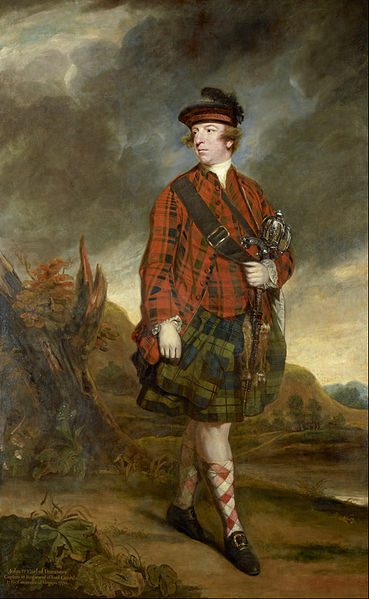 You may recall that the Duke of Cumberland, uncle of the future King George III, had built his military reputation by crushing these rebels in the battle of Culloden in 1746. John’s father survived that battle, only to be thrown into the Tower of London. John’s uncle the second earl of Dunmore did some heavy lobbying to keep his brother alive and to protect the family title. As part of that effort, John joined the British Regular Army in 1750 at age 19. That same year, the King pardoned his father and allowed him to return home. A few years later the uncle died childless and John’s father became the third earl of Dunmore. When his father died in 1756, John became the fourth earl of Dunmore and soon took a seat in the House of Lords. For Scottish aristocracy, a seat in the House of Lords was not automatic. Only 16 of around 90 Scottish Lords got to sit in Parliament. All the other Scottish Lords voted on who would get to go, but even that was a technicality. The King issued a list of recommended members and the Lords almost always rubber stamped that list. The king recommended Dunmore, and Dunmore went to London. Although Dunmore had a title, the lands that went with that title brought in almost no income. Dunmore needed to find a way to support himself. His lifestyle was putting him deeper in debt with no serious income. Fortunately, his wife’s family had connections in the Privy Council. Dunmore used those connections to finagle an appointment as the new Governor of New York in 1770. Unlike Parliament, a Royal Governor got a substantial annual salary, in New York £2000. A governor could also earn extra money from fees for issuing land patents or other official actions. Dunmore traveled New York, where he immediately got into that fight with Lt. Gov. Colden about dividing up fees on land patents New York was selling in what would later become Vermont. Dunmore wanted to go halfsies on all the fees Colden collected since Dunmore had received his appointment but before he arrived in the colony to begin work. We are talking a fair amount of money. Dunmore got his appointment in December 1769, but did not arrive in New York until October 1770. During that time Colden had been distributing land grants as fast as he could. Dunmore had the law on his side for claiming half. However, Colden told him that’s not how we do it in New York. When the issue came up once before a Governor had tried to collect half the fees from the Lt. Governor and had not gotten it, despite the law. Neither side wanted to compromise, and both sent letters to London demanding their position prevail. In the end, the dispute lasted for years. Colden never turned over a penny before he died a few years later. That Dunmore immediately picked this fight with the Lt. Governor as soon as he arrived, and would not back down, shows just how concerned he was with getting money. Going forward, Dunmore would get all the fees for new land patents. Despite the ongoing dispute with colonists with New Hampshire grants, Dunmore immediately started granting land and collecting fees. In February 1771, only four months after he had arrived, Dunmore received word from London that, Lord Botetourt the forgettable Governor of Virginia, had died suddenly. Dunmore got promoted to Governor of Virginia. Although Virginia was a promotion, and paid more, Dunmore did not want to leave. He mostly argued that he did not like the Virginia climate. His real concern though, was that he was in the middle of an illicit land deal that would give him over 50,000 acres of land in what would later become Vermont. Dunmore sent word back to London that thanks but no thanks, I’d like to stay in New York. But his protests fell on deaf ears. Lord Dartmouth told him his replacement, Lord Tryon from North Carolina would be the new Governor of New York. Tryon arrived in July 1771, but Dunmore refused to leave. He eventually allowed the new Governor to be sworn in, but Dunmore stayed in New York, hoping that word would arrive from London that his request to stay New York Governor had been approved. When that did not happen, Dunmore finally packed his bags and headed for Virginia. When he arrived, the House of Burgesses only seemed to want to pass resolutions complaining about how Parliament was infringing on their rights, and trying to coordinate with New England radicals. Like most colonies, Virginia had an appointed council and an elected assembly, called the House of Burgesses. In case you were wondering, the term Burgess comes from Scotland and originally referred to a free citizen living in a Burg or Borough, a walled city from medieval times. Eventually the term evolved to mean city leaders, and later members of parliament who represented Boroughs. Virginians adopted this term when they set up their first elected legislature in 1619. Dunmore occasionally tried to convene the Burgesses to get them to appropriate funds to run the colony and attend to matters, but he usually had to dissolve the sessions within days because the Burgesses insisted on using the session to complain about London. As a result, little got done in his first few years. Gov. Dunmore and the leading colonists simply had different views on how to run the colony, and neither seemed ready to compromise. One area, though, where the Governor and legislature did agree, was on westward expansion. As he did in New York, Dunmore pursued land speculation, this time in western Virginia. Again, he would hope to make a fortune from changes in land ownership rules that he would have a hand in creating. The conflict of interest rules that we have today were just not a thing during this era. There was, however, a big problem with this plan. While Dunmore and the Virginians were eager to push westward, King George’s Royal Proclamation of 1763 still made it illegal to settle west of the Allegheny mountains. A decade after that Proclamation, everyone seemed to be jockeying for position for when that ban finally fell. Other land speculators knew that if the Governor had some skin in the game, he would be much more helpful in getting these lands opened for settlement. Dunmore had no problems receiving a personal interest in several land speculation companies. Dunmore began granting land patents west of the Alleghenies to veterans of the French and Indian War. He also renewed claims for Pittsburgh to be part of Virginia. These moves were popular in Virginia and one area where he could work with the colonists. The legislature even named a county after him in the Shenandoah Valley, though the county would be renamed a few years later after Dunmore became a hated figure during the Revolution. 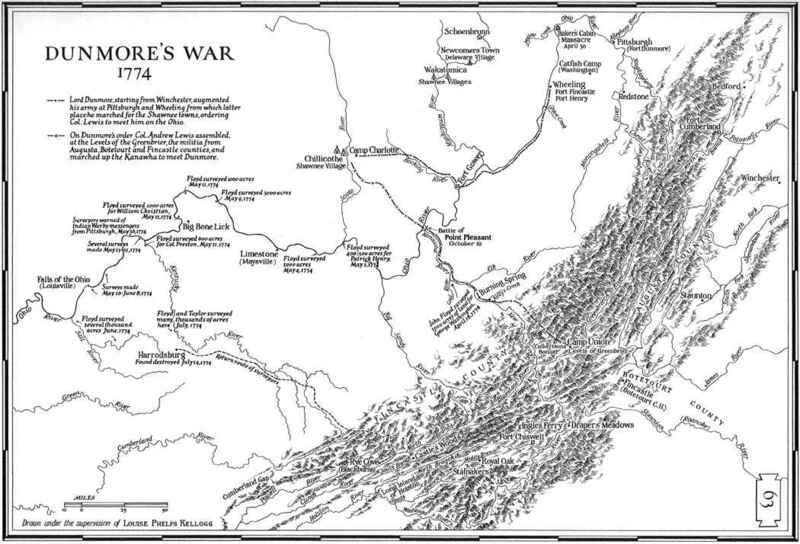 In the early 1770’s though, Dunmore seemed helpful in assisting with Virginia’s claims to more western lands. As I mentioned back in Episode 37, despite the Proclamation of 1763, the Iroquois had sold out the Indians living in what is today West Virginia at the Treaty of Fort Stanwix in 1768. The local Shawnee, Delaware, and Mingo who actually lived on this land did not accept that treaty and were prepared to fight over it. In the fall of 1773, a hunter named Daniel Boone led a group of about 50 colonists to settle in some of these disputed lands. A local tribe captured several of them, including Boone’s son. The Indians proceeded to torture and kill them, in order to send a message. Message received, Boone and his party abandoned their expedition and pulled out of the region. Over the next few months, Indians and settlers attacked and killed each other. Virginians were trying to occupy western territories while the local tribes made every effort to stop them. 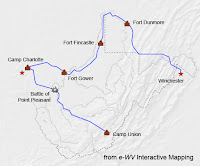 In April 1774, a group of Virginia frontiersmen, responding to a Cherokee raid that stole several horses and killed two men, moved in on what was by all accounts a small peaceful Mingo settlement on Yellow Creek, in what it today West Virginia. As with many of these frontier accounts, there are very different stories depending on who is writing them. Some shade the facts clearly in favor of the colonists, others in favor of the Indians. I’d urge you to check out the variety of accounts available it you want to get a better idea. What follows is simply my best interpretation of events. The Virginians settled into camp on one side of the creek where a tavern and trading post run by a man named Joshua Baker lived. According to settler accounts, the group of 21 Virginians led by a man named Daniel Greathouse came to Baker’s rescue after he had received a report that the Indians were planning to kill him and destroy his tavern. At least that was their claim later. The group of Indians that came to the tavern did not seem particularly threatening. A group of Mingo, five men, one or two women, and a baby, crossed the creek to visit the tavern. Three of the indians began drinking with the white men, and everyone seemed to be getting along. The men then set up targets for a shooting contest. The Indians shot first. As soon as they had emptied their guns by firing at the targets, the Virginians opened fire on the Indians. Those not killed instantly, were finished off with tomahawks or knives. They killed the unarmed women too. The only survivor was the baby, who the Virginians believed had a white father living in Pennsylvania. Next, the Virginians crossed the creek where there were still a few other Mingo men, women and children. The Indians fled for their lives, downriver seeking places to hide. The Virginians hunted them down, killing anyone they found. In total, they killed about 15 people, mostly women and children. The next day, the same men also attacked a party of Shawnee seeking to trade at Fort Pitt, killing one and wounding two others. These events became known as the Yellow Creek Massacre. The Mingo victims were the family of a fairly powerful Mingo Chief named James Logan. Some sources refer to him as John Logan. Others use a variety of Indian names, all of which are disputed and which I would probably butcher if I attempted to pronounce them. So I’ll just call him Logan. 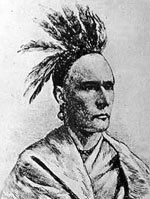 Logan was the son of a Cayuga Chief, who by some accounts was a Frenchman, adopted by the tribe as a young boy. Logan had been living on friendly terms with the colonists, that is until they massacred his family. As you might guess, that set him off. He led a war party that killed dozens of colonists along the Virginia frontier over the next few weeks. Gov. Dunmore was not going to allow this killing to continue. Regardless of who started the fighting, and it was the Virginians who started it, Dunmore’s military instincts kicked in. He called on the Virginia House of Burgesses to raise three regiments of militia. They would invade the territory and pacify the Indians through military intimidation. A successful war might result in the native tribes ceding more land to Virginia for colonization, meaning money for speculators like Dunmore. It would also help secure Virginia’s claims to land that Maryland and Pennsylvania also claimed. Dunmore got the Burgesses to raise his regiments to fight the Indians, who had the audacity to be upset about being massacred and about colonists encroaching on land which the King had guaranteed they would not. 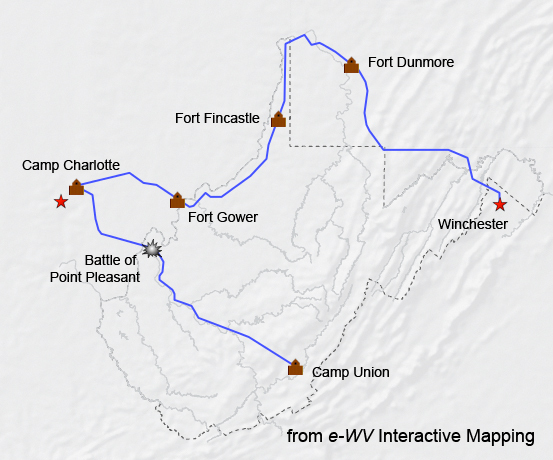 Dunmore personally led two of the regiments down the Ohio River from Fort Pitt. Col. Andrew Lewis led a third regiment from near where what is today Lewisburg West Virginia, to Point Pleasant on the Ohio River. Like most wars with Indians, this would be one without much respect for the enemy. If they found any Indians, they would kill them. If they found any Indian property, they would destroy it. By October 1774, Lewis reached Point Pleasant and awaited Dunmore’s larger force. Once he arrived, the two groups would cross the Ohio River to take out several Shawnee villages. Shawnee Chief Cornstalk received intelligence about this. He decided to attack Lewis before the larger force could join him. 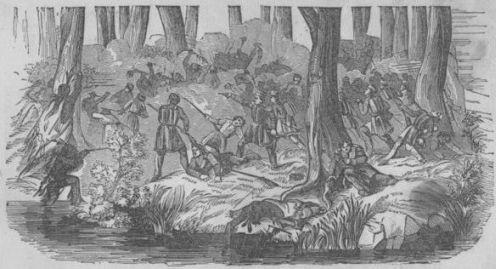 Around dawn on October 10, Cornstalk’s warriors attacked Lewis’ Regiment. Lewis had about 1100 men while Cornstalk controlled an estimated force of 900-1000 warriors. Mostly of them were Shawnee, but other local warriors were in the mix as well. Cornstalk’s warriors attempted to push back the Virginians against a bluff, but hit a stiff resistance. Fighting continued all day, some of it hand to hand. Late in the day, one company of Virginians was able to sneak away to one side, circle around and hit the Shawnee from behind. Fearing this was the first wave of a relief force, and because it was near dusk, Cornstalk pulled his force back across the river. Both sides suffered major casualties. As with a great many battles, I see a range of estimated casualties that don’t seem to agree. As best I can tell, the Virginians lost about 75 killed and another 140 wounded. The Indians lost between 50 and 230 casualties -- again, estimates vary greatly. Among the Indian dead was the father of Tecumseh, the famous warrior who would fight the Americans later in the War of 1812. Because the Virginians held the field at the end of the day, they are considered the winners. The local tribes would not be able to mount another major battle against the Virginians. A few days later, Dunmore’s reinforcements arrived. Dunmore had been delayed because he was concluding treaties with the Delaware at Fort Pitt, agreeing to end hostilities. Dunmore’s arrival forced Cornstalk to sign the Treaty of Camp Charlotte. Cornstalk agreed not to allow Shawnee to hunt east of the Ohio River, and not to harass shipping along the River. The Treaty effectively pushed Virginia’s western border from the Allegheny mountains to the Ohio River. This did not end all fighting though. Chief Logan and his small band of Mingo refused to surrender or come to terms. Funny how having the enemy wipe out your whole family makes you stubborn like that. The Mingo continued to fight until the Virginians destroyed their main village of Seekunk a few weeks later. Logan survived that battle and continued to raid settlements along the Pennsylvania and Virginia frontier for years to come. When the Revolution began, he fought with the British to kill more colonists. His end is unclear. Some sources say he was murdered, others claim he died of natural causes, perhaps related to heavy drinking, around 1780. Lord Dunmore seemed to hope his leading the Virginians to victory and expanding their territory would win him some support in the colony. 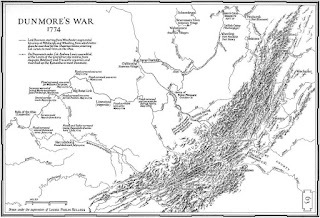 The events of 1774 became known and Lord Dunmore’s War. The colonists were generally happy with his victory and his attempts to convince London to open up the new territory to settlement. But by the end of fighting in late 1774, other political issues had taken center stage. Dunmore continued his hard line by shutting down the House of Burgesses, and working to squash any protest over British policies in the colonies. Any harmony the Governor and colonists could have established over their shared interest in killing Indians and taking their land would be overshadowed quickly by events in Lexington and Concord a few months later. There were also contentions over the war itself. Col. Lewis complained that Dunmore had set him up at the Battle of Point Pleasant. When Cornstalk attacked Lewis, and Dunmore was miles away at Fort Pitt, Lewis accused the Governor of setting him up for failure. He said Dunmore expected Lewis and his regiment to be wiped out at Point Pleasant. This would have allowed Dunmore to avenge the massacre and make himself a hero. Although there is no good evidence that these accusations were true, the stories did nothing to help Dunmore’s standing in the colony. Some historians argue that the Battle of Point Pleasant should be considered the first battle of the American Revolution. Like the Battle of Alamance Creek that I discussed back in Episode 35, I think that characterization is wishful thinking by locals who want that claim to fame. Point Pleasant saw British authorities and colonists fighting on the same side against Indians. If anything, the battle links up better as part of the French and Indian War or Pontiac’s Rebellion than it does the Revolution. In any event, it was the last major battle with Indians prior to the outbreak of war between Britain and its colonies. Next week: As Massachusetts suffers under the Coercive Acts, Gen. Gage attempts to get tough with the colonists and discovers they are not the pushovers he had hoped. Bailey, Kenneth The Ohio Company of Virginia and the westward movement, 1748-1792, Glenndale, CA: Arthur H Clarke Co. 1939. Kerchieval Samuel History of the Valley of Virginia, Winchester: Samuel M. Davis, 1833. Lewis, Virgil A. History Of The Battle Of Point Pleasant, Charleston, WV: Tribune Printing Co. 1909. Simpson-Poffenbarger, Livia Nye The Battle of Point Pleasant; a Battle of the Revolution, October 10th 1774, Point Pleasant, W. Va. The State Gazette, 1909. Sipe, C. Hale Indian Wars of Pennsylvania, Harrisburg: Telegraph Press, 1929. Thwaites, Ruben G. Documentary History of Dunmore’s War, Madison: Wisconsin Historical Society, 1905. Whittlesey, Charles A Discourse Relating to the Expedition of Lord Dunmore, Cleveland, Sanford & Co. 1842. Badgley, C. Stephen A Point of Controversy: The Battle of Point Pleasant, Badgley Publishing, 2010. David, James C. Dunmore’s New World, Charlottesville: University of Virginia Press, 2013. Smith, Page A New Age Now Begins, Vol. I, New York: McGraw-Hill 1976. Swisher, James The Revolutionary War in the Southern Backcountry, Gretna, LA: Pelican Publishing, 2007. Williams, Glenn Dunmore's War: The Last Conflict of America's Colonial Era, Yardley: Westholme Publishing, 2017.